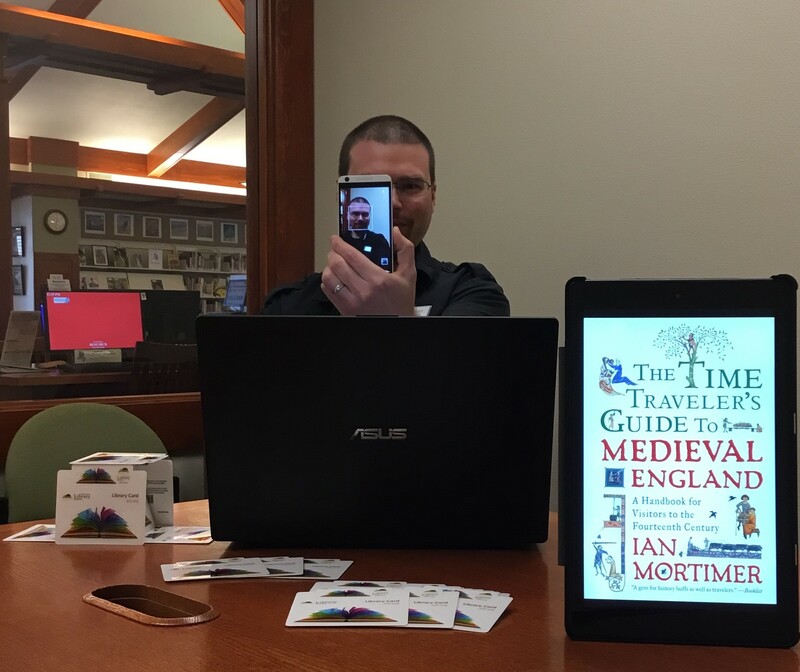 Recently, Jackson County Library Services added several new handy eResources for patron use, such as BrainFuse, Gale Courses, Lynda.com, and TumbleBooks (more on these below). In order to make these and other resources more accessible to patrons, we also enlisted the services of Niche Academy, an online learning platform that provides step-by-step tutorials on how to use library databases (such as Academic OneFile), business and job search tools (like AtoZdatabases), eBook/Audiobook apps and collections (e.g., Libby and Hoopla), and other digital tools. What I particularly like about Niche Academy’s online tutorials is that it caters to diverse learning styles and is accessible to the novice computer user and the seasoned techie alike. 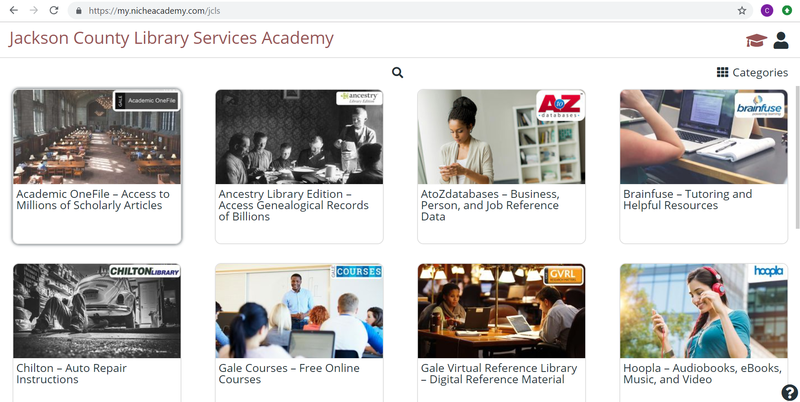 Each Niche Academy tutorial offers two forms of presentation: a video tutorial and a self-paced text and screenshot tutorial—you can use either or you can review both for even better retention of the learning material. To access Niche Academy’s tutorials, simply go to jcls.org, hover your cursor over Research, and click Tutorials. Below I’ve also included a list of each of the databases and resources that our Niche Academy webpage offers a tutorial on, as well as the tutorial’s link, a brief description of the resource, the database’s link, and an example of the sort information that can be found through each resource. Gale’s Academic OneFile offers millions of articles covering a broad array of topics and disciplines in PDF and HTML formats. Ancestry Library Edition places 20 billion images and 9,000 databases at your fingertips. Please note that you must be in a branch library to use this database, but once you find the information you are looking for you can email a link to yourself to access it later even if you’re outside the library. What I found there: "Finding Your Immigrant Ancestors"
Whether you’re starting a business, searching for relatives, or on a job hunt, AtoZdatabases can help you find what you need to make your goal a reality. BrainFuse is a tutoring suite for K-12 students, adult learners, and job seekers that offers live help and a variety of self-study options. ChiltonLibrary not only serves as a DIY auto repair instructional service, but it also provides automotive students prep and practice tests for the Automotive Service Excellence Certificate. Use its detailed and illustrated instructions to perform your own automotive maintenance or look up estimated labor costs for professional repair. Gale Courses grants you access to a variety of free online courses on a great number of subjects. Courses are generally six-weeks long, and new courses begin every month. Best of all—your library card renders them absolutely free! 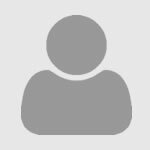 Gale Virtual Reference Library: Online database of encyclopedias and other reference materials for multidisciplinary research. Gale Virtual Reference Library is an excellent place to start performing your research tasks for virtually any subject. GVRL’s comprehensive reference materials offer homework resources, how-to manuals, travel tips, academic articles, encyclopedias, citation tools, and more. To proceed on to Part II of this blog, please click this link.